I’ve written about local specialty Kewpie dolls before. This time, let me focus on Hokkaido’s Kewpie dolls! Hokkaido is a very popular prefecture for tourists and has a lot of wonderful places to visit, plus nice things to see and eat. For every Hokkaido attraction, there seems to be a Kewpie doll to match! From the left: a snow rabbit, a brown bear, a horse, and a Japanese crane. These all live in Hokkaido. So cute! But these are normal (easy to recognize) Kewpie dolls. And then, guess what this is? Is something on her (his?) head a flower or a hat? No, it is naruto fish cake. This Kewpie doll’s costume is ramen noodles! 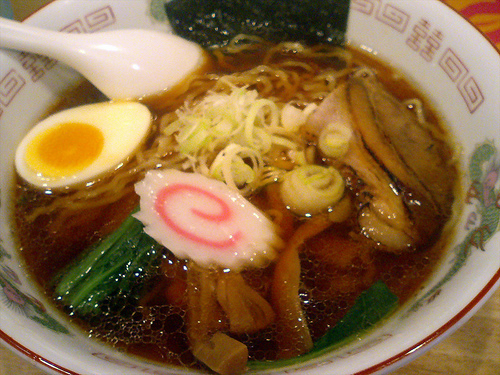 Many cities in Hokkaido have their own special ramen. OK. Let’s go next! What’s this costume of? This Kewpie doll looks like a green Yeti. The photo below is the answer! Something green and round! What are these!? 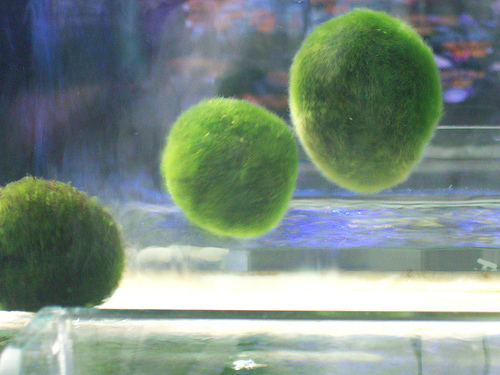 These are moss balls called marimo. Marimo grow in Lake Akan, Hokkaido, and natural ones are very rare. The next might be a little more difficult. What’s this? 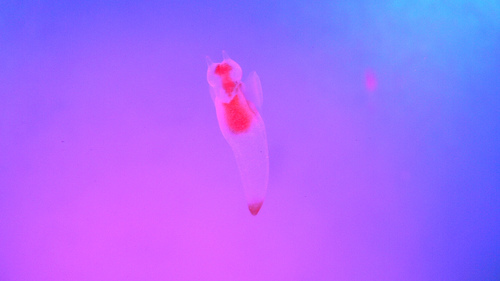 This is clione, a kind of shellfish which lives in the very cold ocean like Hokkaido’s. Clione is also called an “angel of ice floe”. Let’s see the next one! 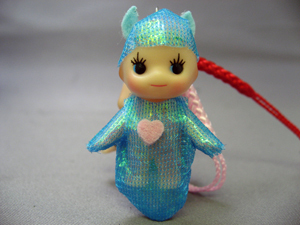 To tell you the truth, I’m not sure if this Kewpie doll is kawaii (cute) or not…. This costume looks heavy for Kewpie doll. 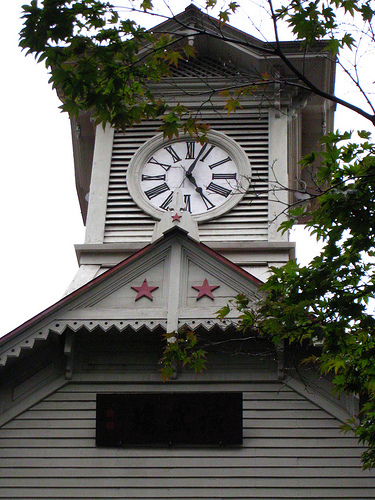 The costume above is the famous clock tower in Sapporo, the capital of Hokkaido. Many tourists visit here everyday. I don’t know what to say… (^^; Do you think this is cute!? 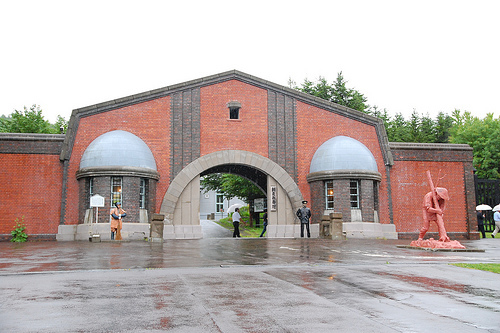 The costume above is the gate of Abashiri prison located in very northern part of Hokkaido. The old prison is now museum and popular among tourists.